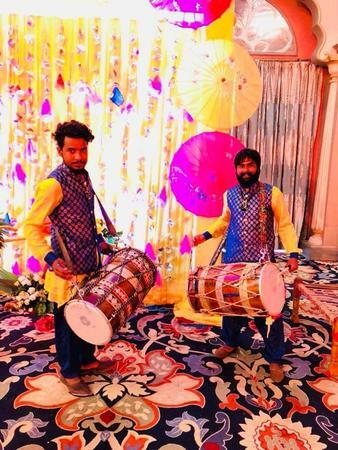 Om Entertainment is a Mumbai based wedding entertainment company, which specializes in providing all kinds of musical and band-baja-baraat entertainment. Be it a sangeet function, engagement ceremony or a reception night, this is one group who with their talent and charm, will light up the entire wedding function. Your wedding day will have a musical destination with Om entertainment. Om Entertainment is a dj based out of Mumbai . Om Entertainment 's telephone number is 76-66-77-88-99, address is Andheri, Maharashtra 400047, India. Om Entertainment is mainly known for Wedding Reception, Sangeet, Cocktail and Other Social Events..